Limited edition of 3000 worldwide. This is the Steiff EAN 408519 Black Bear 1953 replica. In the Steiff tradition it is made of finest Steiff mohair, is filled with excelsior wood shavings and includes a gold plated 'button in ear' with elephant motif. 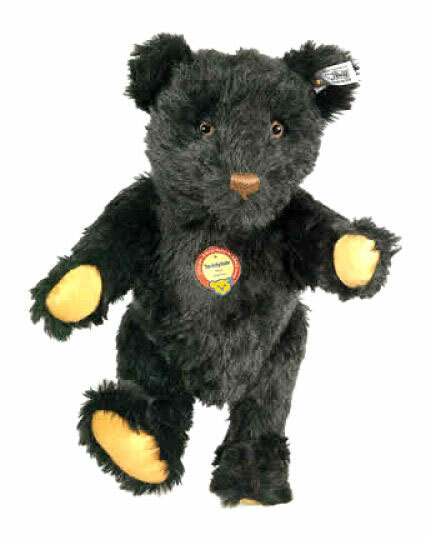 The Steiff 1953 Replica Black Bear features hand stitched nose and claws, a squeaker noise mechanism and glass eyes. A beautiful mohair Steiff Teddy Bear!